« When Should You Consider Having Your Tonsils Removed? 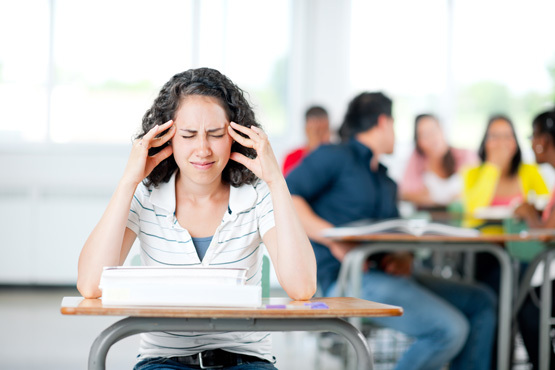 Discomfort associated with allergies can affect the concentration of students and teachers alike. There are many symptoms of evidence for those unfortunate people who are afflicted by pollen allergies, including persistent runny noses, constant itching, sneezing, and eye irritation. 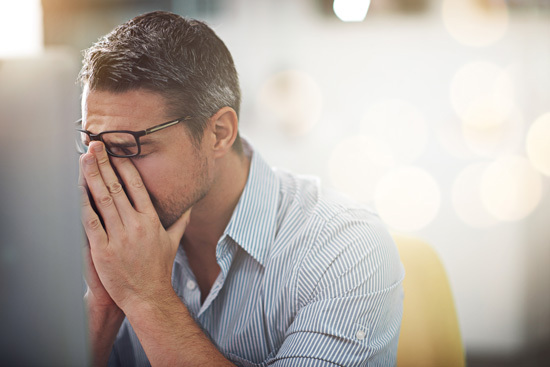 These symptoms, in turn, can lead to other problems such as fatigue, and when medications are used to control the symptoms associated with allergies, that can make a person very drowsy and much less alert. Scientists are now beginning to study the relationship between high pollen count and the performance of children in school and adults at work. There’s long been a suspicion that there would be a correlation between the two, but until scientific evidence was available to support it, that remained only a suspicion. This discussion will focus on some recent studies which have been performed, that demonstrate a significant relationship between high pollen counts in the environment and lower performance in school-aged children and adult workers. Studies conducted at the Norwegian University of Science and Technology by Simon Bensnes have examined the connection between high pollen counts and exam performance on students. The study conducted by Bensnes at that university evaluated the results of year-end exams during a four-year period from 2008 through 2011. Between 25% and 30% of Norwegian young people have symptoms attributable to pollen allergies, primarily among males. The study closely studied exam scores in specific locations and on specific dates and related that information to the local pollen count on those exam days. The results of the study showed that students exposed to higher pollen counts were definitely impacted by them, especially those students who had pollen allergies. Whenever the pollen count increased by as much as 20 pollen grains per cubic meter (one standard deviation), the grade of an average student dropped by approximately 2.5%. Assuming that pupils with no pollen allergies suffer no ill effects from the pollen count, results of the study show clearly that one out of every 10 students with a pollen allergy dropped at least one grade, whenever the pollen count increased by as much as a standard deviation. Information gathered from the study made it clear that students who do suffer from pollen allergies tend to get lower grades on exams, on those days where the pollen count increased significantly. After the study was concluded, Bensnes shifted his focus to a higher education setting, attempting to find out if similar results would be reflected by students at an older age. His findings supported the same kind of statistics that he encountered at the lower academic levels. Whenever random increases in pollen count occurred on the days of exams for students who were allergic to pollen, there was a corresponding downturn in the average exam score for those students. His conclusions were that results demonstrated a clear correlation between increased pollen counts and lower exam scores, ostensibly because students were significantly distracted by the symptoms they were forced to deal with while taking those examinations. U.S. figures indicate that American schoolchildren miss approximately 2 million school days every single year because of pollen allergies, which keep them in misery. While students with allergies are often given slight accommodations in the form of extended time for taking exams, this doesn’t always produce the desired results. In the same study conducted in Norway by Bensnes, results showed that students with pollen allergies were still at a disadvantage, even when they were given extended time to complete their examinations. Allergy sufferers can experience reduced productivity on the job. Statistics compiled in Sweden demonstrate that hay fever costs in the neighborhood of SEK 2.7 billion every year, mainly due to absenteeism of employees. Presumably, symptoms caused by hay fever are severe enough that people simply don’t feel up to going to work, and having to deal with all those annoying issues whenever the pollen count would rise significantly. A study conducted in the US discovered that hay fever victims were subject to reduced mental activity speeds during pollen season, as opposed to any other times of the year. Another study intentionally exposed people with allergies to pollen in a controlled setting, so that the effects could be measured relative to decreased memory, less accurate computation abilities, slower reasoning, and overall reduced mental function, compared to test subjects who had no allergies. So what’s the bottom line for people with pollen allergies? How do students avoid getting lower test scores, how do adults cope with a reduced performance at work, and how do both groups avoid absenteeism whenever pollen counts rise in a given location? Doctors recognize that there is no way that pollen can be completely avoided, simply because it’s all around us in the flowers, trees, grasses, and weeds. However, there are a few things you can do to minimize how pollen count impacts you. First of all, people who know they have allergies should make a point of checking the pollen count each day, which is available from the National Allergy Bureau. Next, you should find out from your doctor exactly which things you are allergic to, and when you are aware that the particular type of pollen is peaking, you can take preventive measures such as medication. You can also stay indoors when you know the pollen count is high, you can protect yourself when you do have to go outside, and you can take the most effective medication for your type of allergy. This entry was posted by Social Media Team on June 20, 2018 at 11:00 am, and is filed under Allergies. Follow any responses to this post through RSS 2.0.You can leave a response or trackback from your own site.